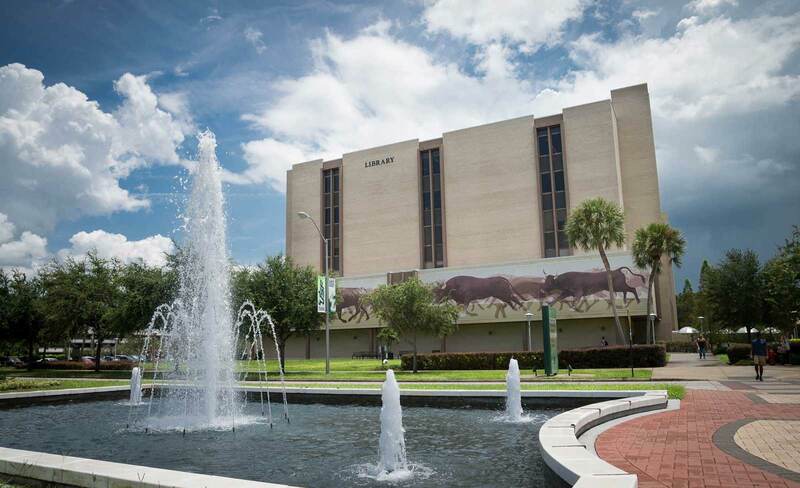 Library Programming & Events: The USF Tampa Library produces a wide range of programming, from the Florida Conversations lecture series (held at the Tampa Bay History Center), to lectures and teacher workshops on topics related to our Holocaust and Genocide Studies Initiative. Most programming takes place in the USF Tampa Library’s Grace Allen Room, on the 4th floor, with occasional programs at partner institutions in the Bay Area. For more information, contact the Office of Library Development at (813) 974-1654. Newsletters and Mailings: Interested community members are invited to sign up for our email newsletter “Your Library in Action,” like us on Facebook, or follow us on Twitter to stay informed of library news and upcoming events. More information is available from the Office of Development at (813) 974-1654.